In the early twentieth century Alberta was one of Canada’s main producers of coal. Several coal deposits run through the Edmonton area. 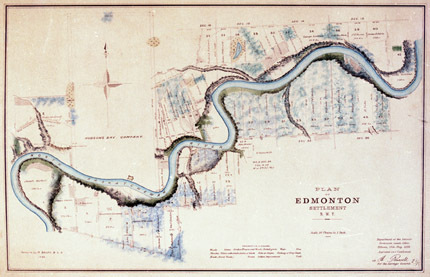 The largest is the Clover Bar seam in northeast Edmonton, which is located underneath the Beverly area. This seam produced 95% of the coal produced in the Edmonton area. Coal was first mined around Edmonton by the Hudson’s Bay Company in the 1840s, and regular mining operations began in the 1880s. Usually operated by one or two men, these small mines were typically dug right into the banks of the North Saskatchewan River valley where the coal seams had become visible through erosion. These small operations were commonly called “gopher hole” mines. Coal mining in Alberta was seasonal work. Because there were so many mines in operation, there was not enough demand to make them work at full capacity. Winter was the busy season for coal mining, as cold weather increased the demand for coal. Although various organizations tried to convince the public to buy coal in the summer, when it was much cheaper, the practice never caught on. 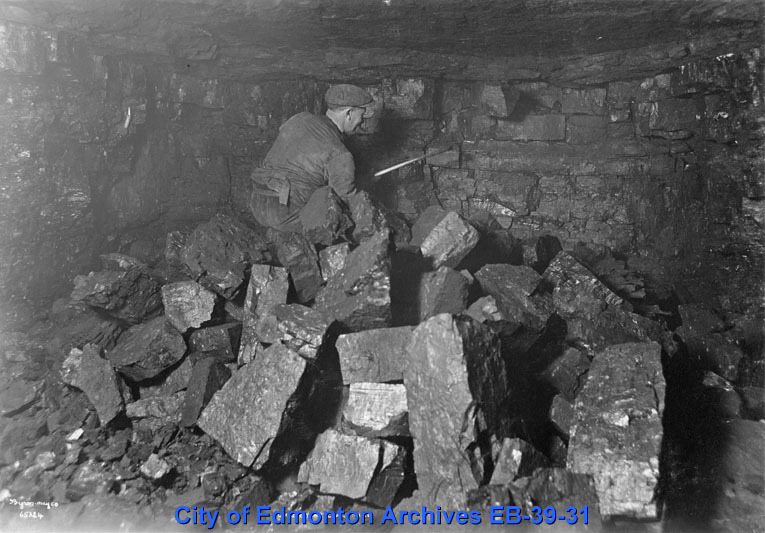 Coal mining was an important industry around Edmonton. 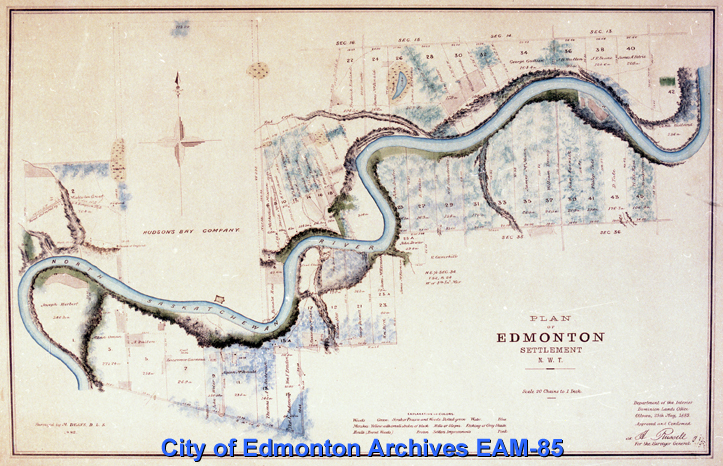 Between 1880 and 1974, when the last commercial mine in Edmonton closed, there were 153 mines and prospects recorded in the city. Mine workings covering 3,260 acres produced over 15 million tons of coal. Coal mining had a sizable impact on the local economy as a significant employer and generator of revenue. For example, all of the equipment used in the Humberstone Mine was purchased in Edmonton, and much of the miners’ salaries were reinvested in the local businesses. By 1914 coal mining was a large industry, with over 8000 people employed by mines in Alberta. The coal mined around Edmonton had a relatively high moisture and ash content. 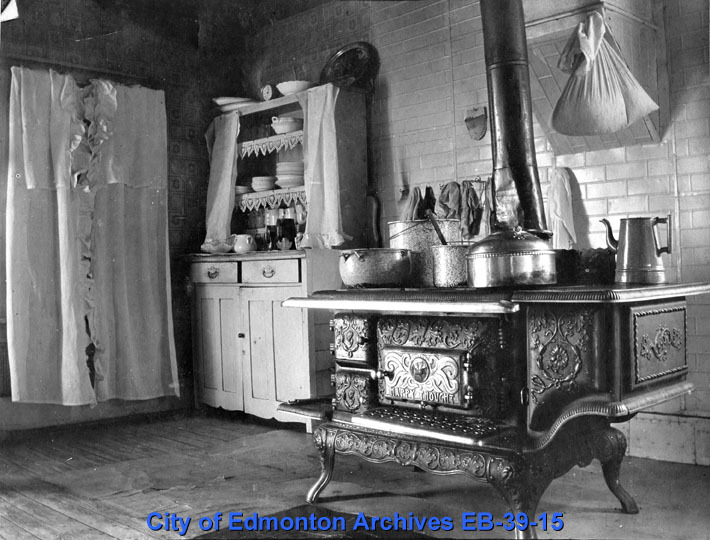 Considered domestic coal, it was used primarily to heat homes in Alberta, though some was exported to neighbouring provinces. The first residents of European origin in the Beverly area settled on River Lots 36, 38, 40 and 42, which were surveyed in 1882. Lured by rich soil, coal seams and less expensive land than in nearby Edmonton, most settlers came from Germany, Scotland, England, Holland and Ukraine. In 1906 Beverly was incorporated as a hamlet. The Village of Beverly was incorporated in 1913 with the amalgamation of the sub-divisions of Beacon Heights, Beacon Heights Annex, Beverly Heights and Beverly Heights Annex. Using 50th St. as its western boundary with Edmonton, the new village of Beverly had over 400 residents, as well as a school, and several churches and stores. In 1914, the population had grown to 1000 and the community was incorporated as the Town of Beverly. Over fifty mines were recorded as operating in Beverly between 1900 and 1950. The actual number is likely much higher, as small operations that lasted only a season or two may not have been recorded. Mining was a major employer for residents of Beverly, and the industry was central to the community’s development. Some of the major mines included the Clover Bar Mines (ca.1897-1923), the Old Bush Mine (1905-1925), the Bush Davidson Mine (1917-1944), and the Beverly Coal Mine (1931-1951). Among the first merchants in town were Dan and Anastasia Danilowich, who operated a general store at 4508 – 118 Avenue. The couple emigrated from Ukraine in 1908 and settled in Beverly when Dan was hired as pit boss for Humberstone Mine. Dan and his brother John built the first general store in Beverly. Robert Walker, Town Reeve (1913-1914) and Mayor (1924-1926). Walker worked as a coal miner, laundry truck driver and elevator operator at the Beverly Coal Mine. Robert Hay, Mayor (1916-1917). Hay was a union organizer. Bradley Simpson, Mayor (1922-1923). Simpson was a carpenter and miner. Thomas Kinch, Mayor (1927-1931). Kinch was also a carpenter and miner. Frank Wagner, Mayor (1936-1937). Wagner worked as a mine labourer. He won the election on a platform of suing the Beverly Mine for closing. Frederick Humberstone, the younger brother of William Humberstone and a partner in the Humberstone Coal Mine, was also active in political life. 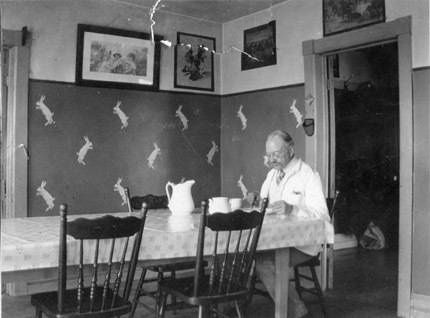 He was elected a School Board Trustee four times, and served as mayor from 1918 to 1921. Fred helped operate the Humberstone Farm, and lived in the farmhouse with William and Beata in the final years of his life. He died on January 28, 1921 at 64 years of age while serving as mayor. Beverly was officially declared a mining town in 1932 by the Board of Public Utility Commissioners for the Province of Alberta.